One of David Williams’ graduate school assignments was to write a book chapter. Add one more twist to the story; for the entirety of the group project, Williams was 16 hours ahead of most of his group, working on the project from a military base in Japan. That was actually true for the entirety of his program. 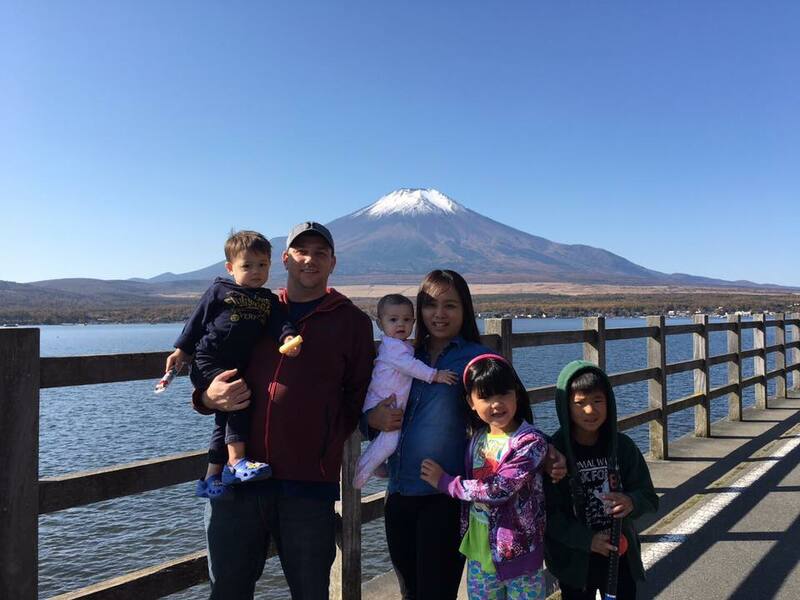 Williams, who graduated from Northern Arizona University in May with a master’s degree in educational technology, has spent 16 years in the military, most of that in Japan, as an aerospace propulsion mechanic fixing aircraft engines. On and off in that time, he was enrolled in bachelor’s degree programs—five of them. 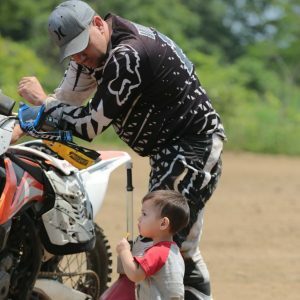 He struggled to find the program that fit his interests and his lifestyle, which by then included wife Chihiro and their four children: daughters Mae, 8, and Ann, 2, and sons Morihito, 10, and Jou, 3. Williams finished his hard-earned bachelor’s degree in February 2016. Within a few months, he found himself both missing school and looking ahead to life after the Air Force. When Williams was younger, he wanted to be a teacher. As he got older, his goal shifted—he wanted to teach the teachers. Instead, he went into the military fixing engines. Williams never let of his original goal, though, so he looked for a master’s program that could help him transition into education when he retires from the military in a few years. Within months of graduating, he started looking for opportunities for more education. Because he was serving overseas and had a full-time job, online programs were his only option, and Williams was eager to find the right school the first time around for his master’s degree. He’d spent five years stationed at Davis-Monthan Air Force Base in Pima County so he knew of NAU, though it wasn’t necessarily on his mind. What happened next was kismet. Some of those included offering a fully online degree—the only way Williams would be able to earn his master’s degree; having one of the top 20 instructional design degree programs in the nation; a vast alumni network in his field; military tuition assistance. He applied and was accepted, starting the program in August 2016. It wasn’t easy. Graduate work is harder than undergrad work, and at first, he struggled. Prior to starting, he and Chihiro looked at the family’s schedule and workload and factored in 20 hours a week of schoolwork for him. Fortunately, as he got used to the difference in learning and applied the discipline he’d learned in the military to studying and completing assignments, life became routine again. That flexibility made a big difference in his success, as did the program’s structure. Most of Williams’ courses were eight weeks long, but NAU offered four- and five-week classes in the summer and winter sessions, which enabled him to finish in 18 months. Despite the distance, as he also benefited from collaborating with others in his program, many of whom were also working full-time and balancing school and family life. His peers included former elected officials, teachers and an Olympic athlete. Though such collaboration, however valuable, isn’t always easy for the guy on the other side of the world. Fortunately for his sleep cycle, that only happened a few times in the 18 months he was in the program. Most of the group could be done via email or online tools like Slack and Prezi that allowed them to share information, develop their group presentations and communicate. Online degree programs continue to grow in popularity in the United States, as they allow people who have full-time jobs, live far away from institutions of higher education or have family or other obligations that make a traditional in-class experience difficult or impossible. NAU’s online enrollment has more than doubled in the past decade; in 2017, almost 6,000 students enrolled in online programs, with about three-quarters of those students being part-time. NAU Online offers programs with flexible start dates and transfer options while also offering many of the same resources that are available to on-campus students, including networking and professional development opportunities, mentoring, advising and career assistance. Even face time with professors is possible through Skype and FaceTime. In many ways, earning a degree online is similar to earning a degree on campus—students have homework, reading assignments, tests, group projects and deadlines. But while the flexibility can be good for some students, online education requires a measure of self-discipline and commitment that can be difficult. Education professor Chih-Hsiung Tu, Williams’ mentor, said online programs typically are more demanding and time-consuming than comparable on-campus classes. But, he added, it also offers an array of benefits—students can learn at their own pace, which often means they can go more in-depth on subjects and learn more effectively; the necessity of frequent communication allows students to build relationships with each other and their professors; and students acquire self-regulated learning skills. In addition to the traditional online degrees, which are structured much like typical classes, NAU’s Personalized Learning program offers self-paced degrees in management, nursing, liberal arts and computer information technology. Students pay a flat fee for a six-month subscription and take as many courses as they would like in that time. 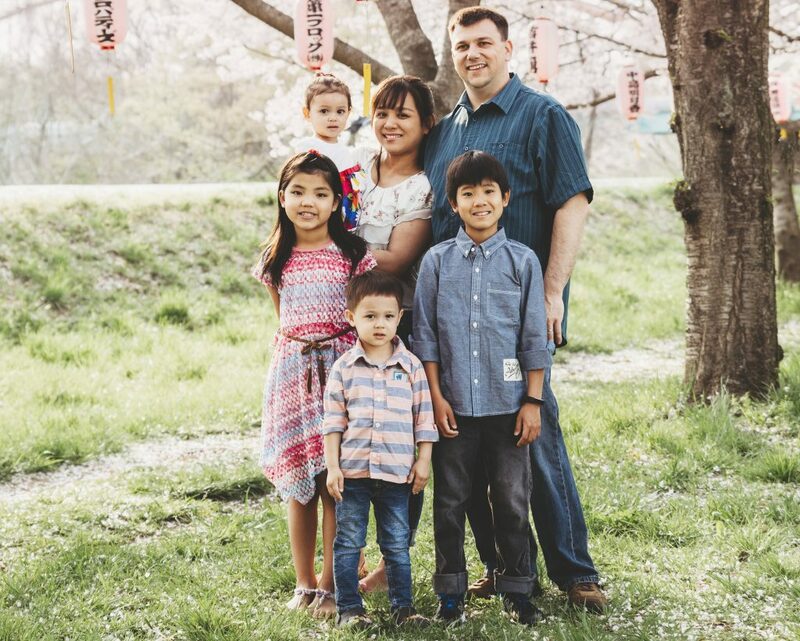 One family, who graduated with Williams in May, opted to earn bachelor’s degree in liberal arts through Personalized Learning, with the mother and three children all completing degrees in one six-month subscription period. In his online education degree program, Williams had several assignments related to bettering online education. In one of his classes, his group wrote a chapter of an e-book related to online learning. “Instructional Strategies for PLE & ONLE” was the second chapter of “Education Transformed: How Open Network Learning (ONLE) and Personal Learning Environments (PLE) are Changing the way we Learn and Teach.” Tu taught the course. Williams’ part of the project looked at the use of open education resources (OERs) in classrooms. In place of buying expensive textbooks, students can use OERs to access scholarly articles for personal and class research at no cost to the student. Instead of assigned reading that offer a single perspective, students choose their own resources to back up points or answer questions, which can lead to new ideas and perspectives. He and his team also delivered a live online professional development session to help other educators integrate emerging technology to enhance online teaching and learning. Nor is Williams done. After talking with Tu, his mentor, and with support from his wife and kids, he’s starting his doctorate degree in leadership and professional practice in September at Trevecca Nazarene University. 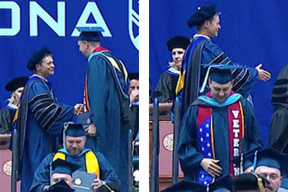 He should finish that in 30 months, spend another year or so in the Air Force as an engine mechanic and then will start his new life as Dr. Williams, professor of instructional design.